Welcome to the Oakley Modular page, home of Tony Allgood's Oakley Modular System since 1999. Oakley modules can be be bought either as a ready made units from our partner business Krisp1.com, or can be constructed by yourself using our high quality bare printed circuit boards. Full building instructions can be found on each of the project's own webpage. 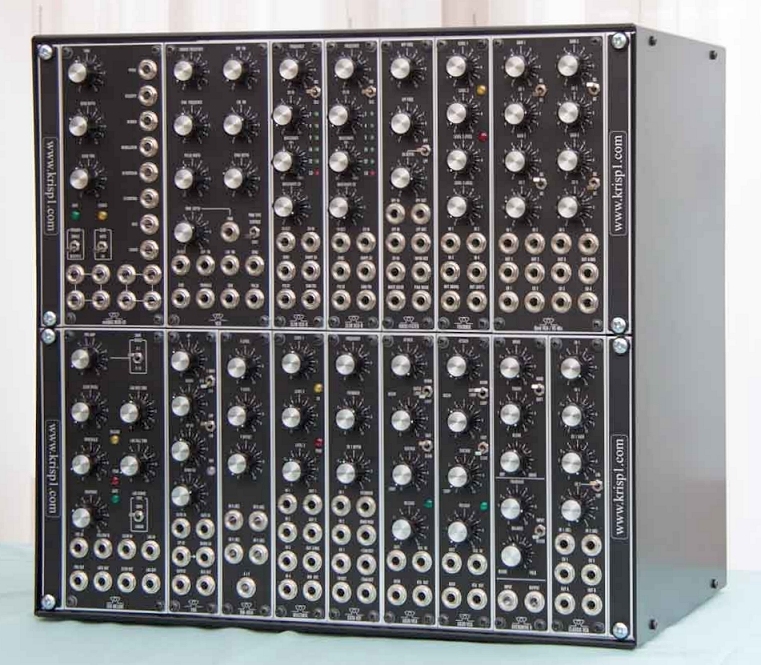 Our full size modules are primarily designed for the 5U module system as originally defined by the Synthtech MOTM modular. As such they are fully compatible with MOTM and other MOTM compatible modules. Most of our module designs are also MU format compatible and are therefore suitable for fitting into Synthesizers.com systems. If you are building them yourself you can, with a bit of imagination, get them to work with the smaller formats too. For technical support on all Oakley projects please refer to the knowledgeable and helpful Oakley Sound Forum which is hosted at Muffwiggler.com. Tony Allgood at Oakley Sound Systems does not provide direct e-mail support for Oakley projects, but is usually available via the forum. Ordering details for modules or DIY PCBs and parts can be found by clicking here. Some tips on buying which modules can be found in our Which Modules page. EFG Envelope Follower, Gate Extractor and Pre-amp in one. Fourmix Simple but effective four channel audio and CV mixer. A very generous US builder of Oakley modular projects has compiled a set of very useful parts lists complete with Mouser and other suppliers' part numbers. 25 modules have had all their parts placed into individual spreadsheets. The .xls files have been bundled as one small ZIP file and can be downloaded here. An example of a small but powerful Oakley 5U modular system built into a 22U wide oak case. The frontplates are standard black finish Schaeffer engraved panels.